110 Connector Wholesalers Supply RJ11 Connectors Etc. Product categories of 110 Connector, we are specialized manufacturers from China, 110 Connector, RJ11 Connectors suppliers/factory, wholesale high-quality products of 110 Connector R & D and manufacturing, we have the perfect after-sales service and technical support. Look forward to your cooperation! Our 110 Connector is well-controlled in quality. 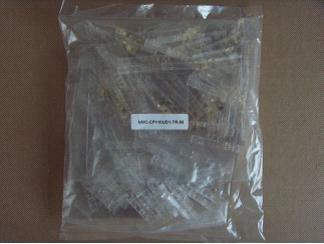 We buy the raw material, and sell the finished products110 connectors, all the steps are processed in our factory. We could control the quality consistent, and make the lead-time flexible. As a professional manufacturer of Telephone Connector, we have full range of connectors. Welcome any of your enquiry.